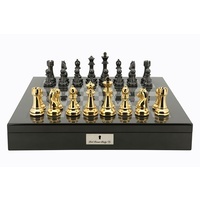 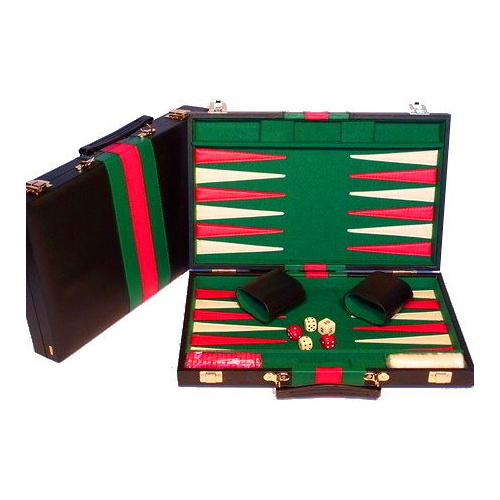 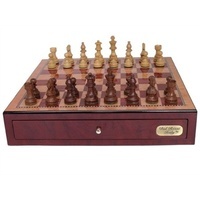 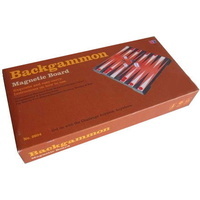 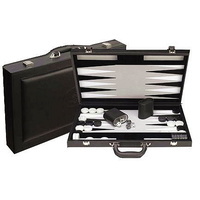 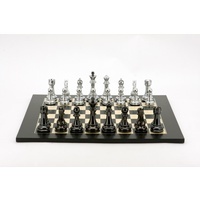 Backgammon Black Vinyl Case 15"
Backgammon is a game of luck and skill. 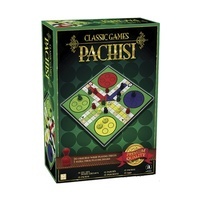 It is one of the oldest board games around, with origins dating back possibly 5,000 years. 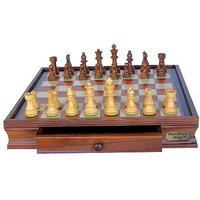 Players win by removing all of their pieces from the board. 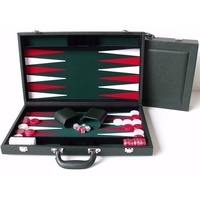 Backgammon is played by two people with 15 checkers each on a board consisting of 24 spaces or points. 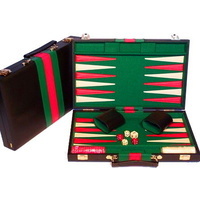 The checkers are moved according to rolls of the dice. 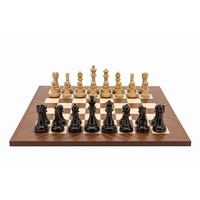 Each player tries to bring his own checkers home and bear them off before his opponent does, hitting and blocking the enemy checkers along the way. 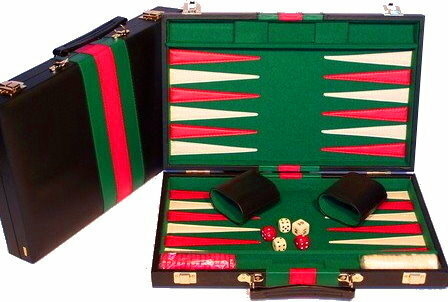 Dal Rossi Italy Backgammon Black PU Leather 18"